PNG LNG Kumuls back rower Rhyse Martin has withdrawn from the Kumuls team to meet the Fijian Batis in this weekend’s Pacific Test due to personal reasons. Coach Michael Marum revealed this afternoon that Martin had asked to withdraw from the team. “It is unfortunate for us but Rhyse has requested that he could not join the Kumuls this week and we respect that. He has some personal issues to attend to and have allowed him to do that,” Marum said. Marum said Edward Goma will replace Martin. Goma will be the 11th SP Hunters player in the PNG LNG Kumul Team. He said all 11 players were passed fit after their gruelling 22-18 win over Redcliffe Dolphins this afternoon. The 11 players and coach Michael Marum and team manager Arnold Krewanty will leave Port Moresby for Cairns early tomorrow (Monday) morning. They will meet up with the rest of the PNG LNG Kumuls and coaching staff in Penrith, west of Sydney, tomorrow (Monday) afternoon. Marum will name the captain and vice captain when everybody is in camp. 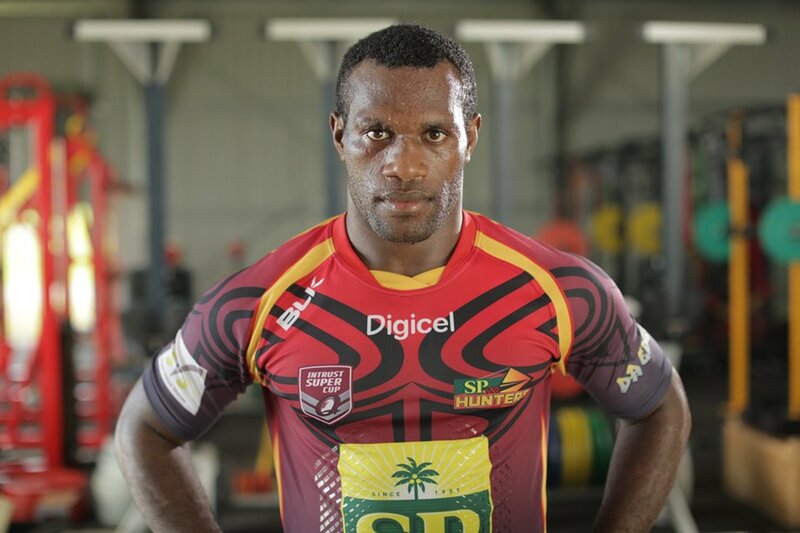 The PNG LNG Kumuls will take on Fiji Batis at the Pirtek stadium in Paramatta, Sydney, on Saturday.